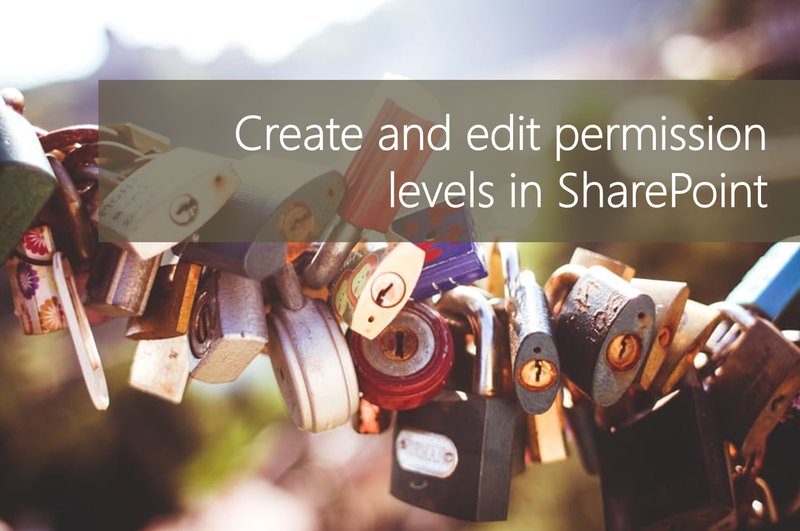 #Office365Challenge The permissions levels in SharePoint are rather comprehensive, but should you require a bit extra, or less of something – then creating new permission levels would be the way to go. You need full control or site collection admin rights to view and edit permissions (for users). You’ll now see the list of Default Permission Levels. You can click on Add a Permission Level. I prefer to copy a current level and make changes to it. DO NOT MAKE CHANGES TO THE DEFAULT PERMISSION LEVELS. And there you go. Sorted.